This new format, crafted specifically for younger readers, features the original Tintin graphic novel plus brand-new content. Go "behind the scenes" with the true story about people, places and antiquities that Hergé drew from, filled with fun facts, lots of pictures, and easy-to-read text! In this adventure: Tintin tries to take a vacation, but while on his cruise ship a mystery unfolds! He meets Dr. Sarcophagus who leads him to the undiscovered tomb of the Pharaoh Kih-Oskh. 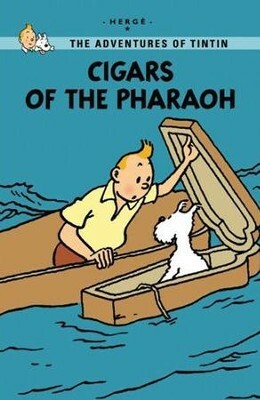 I'm the author/artist and I want to review The Adventures of Tintin: Cigars of the Pharaoh, Young Readers Edition.